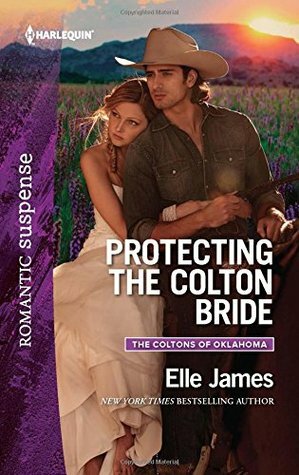 Elle James does it again! Always such a pleasure to read one of her books. I fell in love with these characters from the beginning and couldn’t stop devouring page after page to see what was going to happen. Very down to earth characters, easy to relate to. Megan Talbot needs money to buy her prized horses before her angry father makes good on his threat to sell them to a glue factory if she doesn’t move back home to California. Daniel Colton needs a blue blood connection to impress the owner of the prized stud he wants to work with to take his horse breeding operation to the next level. Instant solution! Daniel proposes they elope to Vegas, and Megan agrees it’s an ideal fix to both their problems! Megan will get her inheritance from her grandmother upon marrying, giving her the funds to save her horses. Daniel will gain the connection to an influential family that he feels he needs to improve his chances of a stud deal with Kennedy Farms. The perfect plan. Only strange things start happening around them. An incident with a horse, an illness, malfunctioning equipment, etc. Someone is after Megan … but why? I’d be devastated if someone threatened to turn my horses into glue! Definitely worth a quickie marriage.